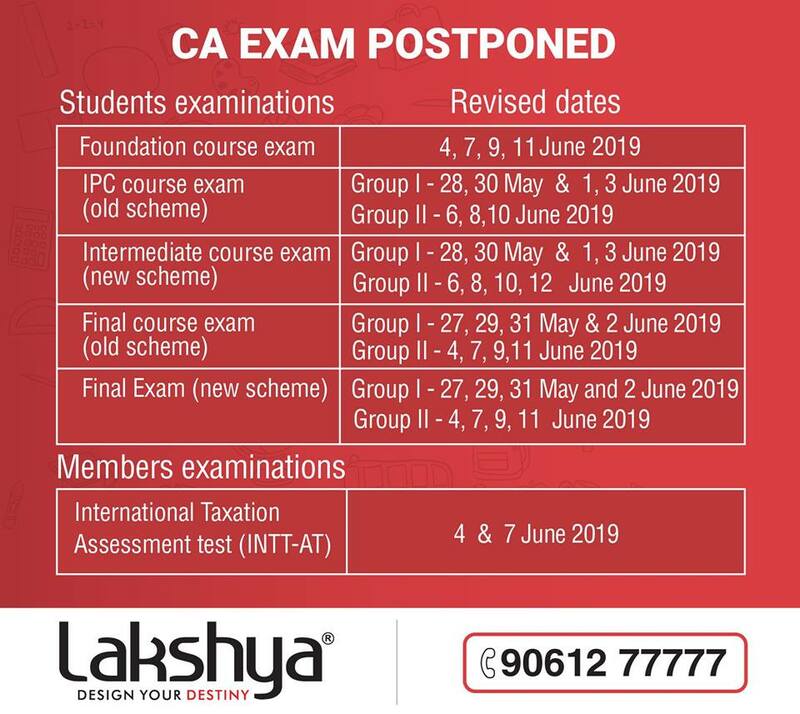 ICAI has announced that the Chartered accountant’s (CA) examinations have been postponed due to the upcoming Lok Sabha elections. The exams which were to be held across 193 cities (144 centres) in India and 5 cities abroad (Abu Dhabi, Doha, Muscat, Kathmandu and Dubai) were rescheduled to avoid any clashes with the polls. The exams which were initially scheduled from May 7th -17th will now be conducted between May 27 - June 12 2019. This would include the student's examinations, CA foundation examinations, CA Intermediate examinations ( both under new and old scheme), CA Final examinations ( both new and old scheme) and the member's examinations which are to occur on various dates. No exam will be held on June 5th on account of Id-ul-Fitr, there will however be no change in the schedule in the event that any other day is declared as a public holiday. According to the new schedule, the revised dates for submitting CA exam forms are March 16th and March 23rd with the late fee penalty respectively.